Sally Hansen "Calypso Blue" nail polish || Maybelline Vivids Lipstick in "Vivid Rose"
I'm so excited to be hosting this week's "Trend Spin Linkup" with both Laura & Erin! The theme was sandals and we all know how good I am at following the rules ;) I decided to wear my favorite high heel sandals because.. well because I can! And they're just so dang comfy. My pair is sold out but I've found some awesome similar options for you to shop below. Also let's discuss the amazingness of this crystal belt. It's so whimsical and fun! I've been wearing it with as many dresses as possible lately. It's technically from the fall collection but I think it's one of those pieces that can easily transition from season to season! And let's get real... we all know I love my sparkles! Adoro!!! As sandálias são lindas. Just discovered your blog from the linkup! Love your sandals and this entire look but especially that belt! 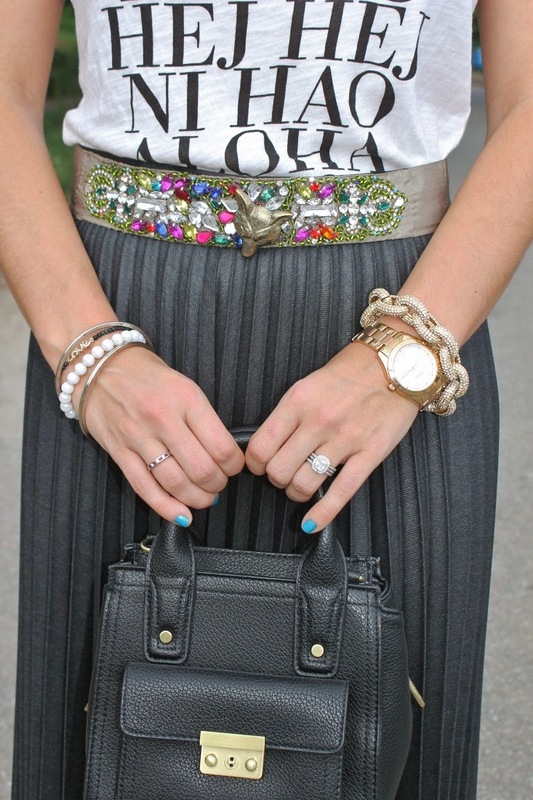 love the accordian skirt and jeweled belt! :) so pretty! So stinkin cute--I Love that you have your own take on the trend :) And that jeweled belt is ahhmazing! I wish I lived somewhere I could wear footwear like that! Gorgeous! I just found your blog with the link up, and I love it! You have amazing style! I love your outfit today and I especially love your shoes! I need some shoes like that in my life!! 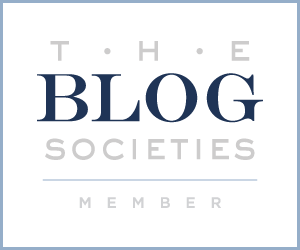 We need to do a blog collaboration! Message me and we'll plan something!! Erika, I love your look the most. It is my favorite one. Also I love everything about this look. It is very inspiring and I can't wait to put together something similar. Gorgeous! Totally loving your outfit an those killer shoes! So happy to do the link up!! HI Nikki, Stopping by from the Trend Spin. Congrats on hosting this week. Cute outfit.. I've been looking for a great black skirt in this length. Love it with the graphic tee and the shoes of course!!! Love your heeled sandals with the pleated midi! Just followed you on GFC to keep up!